The transaction remains subject to transfer of client contracts, customary closing conditions and regulatory approvals and is expected to close before the end of April 2019. 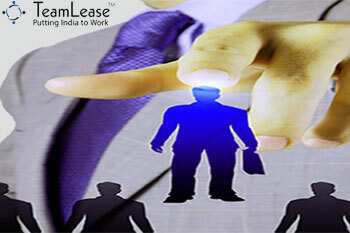 TeamLease Services Limited, (TeamLease) one of India’s largest staffing companies, and E Centric Solutions Private Limited (‘eCentric’), a leading staffing company, announced the signing of a definitive agreement vide which TeamLease, through its wholly owned subsidiary TeamLease Digital Private Limited (‘TL Digital’), acquires the IT staffing business of eCentric by way of business transfer/ slump sale arrangement. The transaction remains subject to transfer of client contracts, customary closing conditions and regulatory approvals and is expected to close before the end of April 2019. The transaction will be immediately accretive to TeamLeases’ earnings per share and be financed with existing financial resources.